This wonderful 40 Year Calendar Paperweight provides the correct dates from 2014 - 2053, making it not only an aesthetically decor piece, but also a highly practical addition to any desk or workplace. At 8cm, the 40 Year Calendar Paperweight would make a lovely gift for any lover of the sea, boating or even novelty timekeeping pieces. 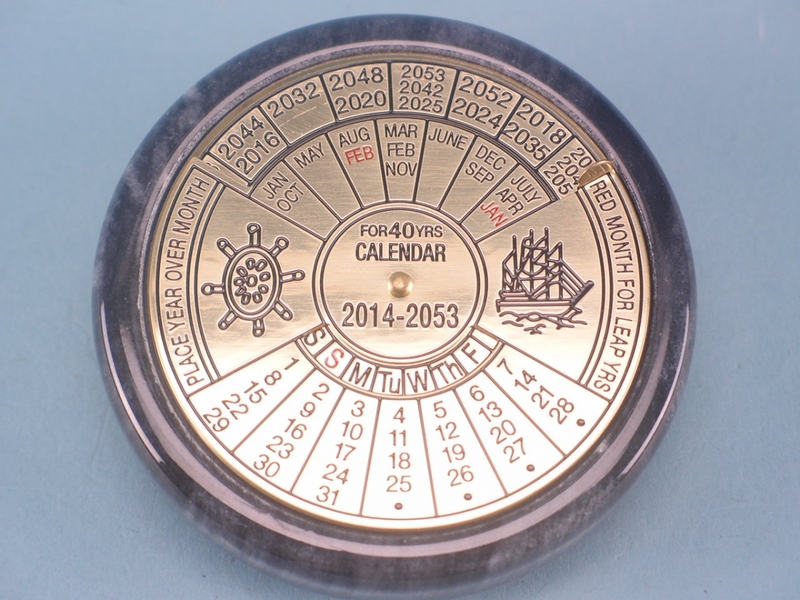 This charming 40 Year Calendar Paperweight would make a perfect addition to any nautical or beachside gift shop. This paperweight provides the correct dates from 2014 - 2053, making it not only an aesthetically decor piece, but also a highly practical addition to any desk or workplace as a useful paperweight. 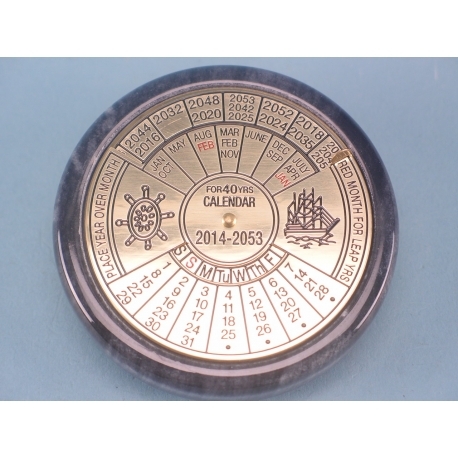 At 8cm, the 40 Year Calendar Paperweight would make a lovely gift for any lover of the sea, boating or even novelty timekeeping pieces. Featuring brass detailing and a wooden setting, this paperweight is sure to be a conversation starter.